Like many Iranians, Babak Shafian cringed over Mahmoud Ahmadinejad, his country’s former president, rhetoric about Israel. The 33-year-old computer scientist says the diatribes ignored thousands of years of shared history between Jews and Persians. “The main thing which annoyed me really is that Ahmadinejad was presented in the Western media as the main voice of Iranian society,” says Shafian, who moved to Germany 14 years ago. He decided the best antidote would be a musical collaboration with the alleged enemy. The problem, however, is that he didn’t know how to play a musical instrument. So three years ago, Shafian talked to friends and scoured the Internet to find Israelis and Iranians living in Berlin who did. Yuval Halpern, a 34-year-old lsraeli composer there, recalls getting Shafian’s invitation through couchsurfing.org, a website that connects travelers with locals offering a place to crash. 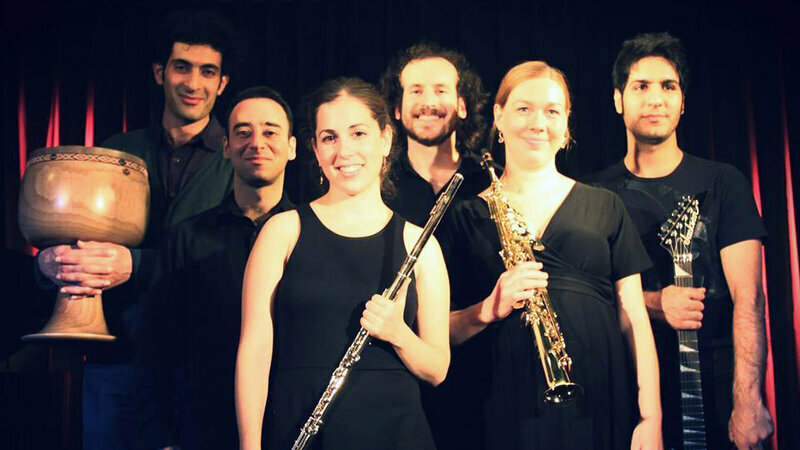 Shafian, his German wife, two other Israelis and two Iranians now form the band Sistanagila, which plays what members describe as world music with improvisations and a folksy flair. The name, like the group, is a mix of Israel and Iran, combining the names of an Iranian province and a popular Jewish folk song played at bar mitzvahs, bat mitzvahs and weddings. This entry was posted in Culture, music and arts, People & Society and tagged International, Music, Top-Posts on November 15, 2014 by socialinform.